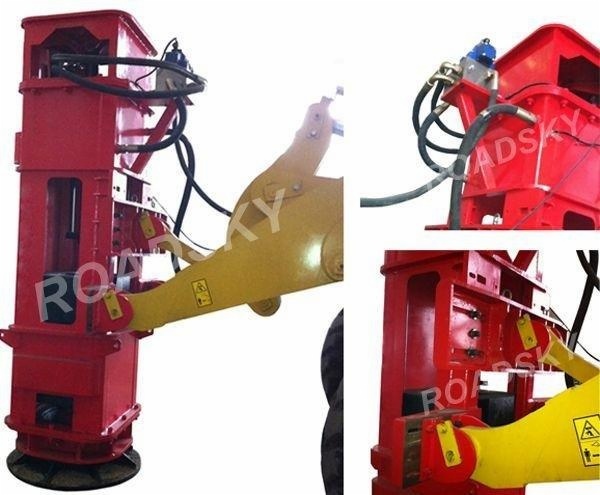 It is a special tamping equipment, which adopted dynamic technology to fill in the gap between the traditional surface compaction technology and the traditional strong ramming technology. 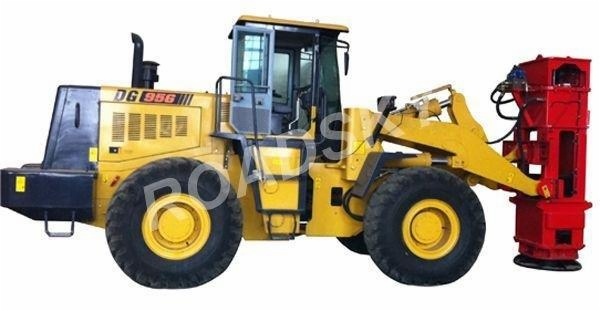 This equipment has special effect on compacting the fillings and subgrade, especially be applied for large project foundation tamping operation such as highway, railway bed, water conservancy project, harbour, airport, parking lots, oil depot and etc. and the landfill compaction for the environment sanitation garbage and harmful substance, and the reconstruction of old concrete pavement. 1. The electron device can be used to select work pattern and tamp strength. The monitored control system can be used for operation record, which is convenient for quality control and data acquisition. 2. The tamping hammer is used to tamp by the cushion pad and tamping plate static pressure on the ground. Compared to the traditional tamping technology, it has smaller force peak, longer acting time, with the characteristics of soft effect and hard to cut the filling layer flow. It also has the functions of anti dust and anti splash. 3. 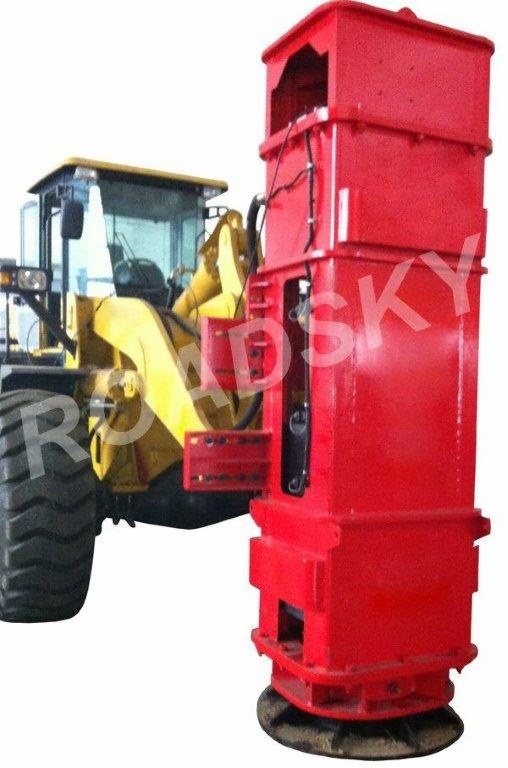 It is installed onto the excavator or loader, so it is convenient and rapid to accomplish transposition and transition of sites. It also can get into the narrow site.